Warehouses are busy logistical hubs that contain hundreds or thousands of different parts or products. 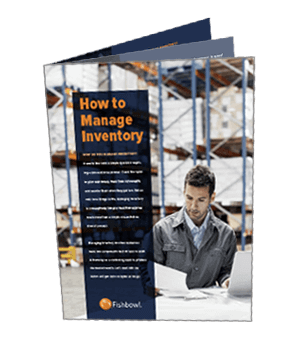 Relying on the following four traditional organization techniques will increase the efficiency of your warehouse. Many warehouses rely on traditional organizational techniques, such as stacking items vertically and categorizing by location. However, there are newer techniques that are now becoming standard practice in many supply chains. That is, digital pictures are an excellent way to visually verify what is in a box without having to open up each one. Understandably, warehouses can be busy and chaotic. As a result, bins and boxes get accessed a dozen times a day. Therefore, the best way to save time and reduce confusion is to simply stick a picture of the contents on the outside of the box. Printed barcodes are one of the most fundamental techniques to warehouse organization. SKU tags are reliable and accurate, and they reduce human error and increase accuracy. Additionally, using a barcode system reduces employee workload and training time for new hires. Barcodes are also relatively inexpensive to design and print. As a result, the warehouse is able to gradually adjust and improve their barcode design according to their specific needs. Finally, barcodes are versatile and can be also used on equipment and supplies for inventory control purposes. Large warehouses typically use a warehouse management system (WMS) in order to stay organized and efficient. These software programs allow for warehouse management integration through accurate data synchronization across different channels. That is, a WMS allows the company to centralize and standardize their information. This is especially important when the warehouse works with dozens of different trucking and shipment companies that all use different forms and systems. Even better, online customers are able to see accurate stock information when shopping. Experts note that WMSs can increase market rankings and lower out-of-stock percentages, thus creating greater online visibility. Many warehouse management systems have unique customization features and excellent quality control features. Stackable shelf bins and containers come in different shapes and sizes. Warehouses prefer stackable shelf bins from places like Quantum Storage because they are durable and work well with other storage fixtures. One of the biggest benefits is that they make the best use of limited space because they can be easily stacked on top of each other. Overall, warehouses can increase their organization through digital pictures, SKU tags, warehouse management systems, and stackable shelf bins. Don’t let your warehouse become a chaotic mess, as you will be squandering your space, time, and money.